The Magic Carpet Cleaning staff strives to justify the highest expectations of its customers in Hampstead NW3. Contact us now at 0208 861 0979 and we will offer you thorough cleaning of your property – home, office, shop or industrial building! We give whatever it takes and kale your life brighter and happier! What’s more you get a free price quote that comes with no obligations. You can be sure that using our services you will not find hidden conditions or aggravating fees. To keep pace with time and technology, we are continuously informed about the latest cleaning products on the market – and we use some of the best! We in Magic Carpet Cleaning strive to protect your healthy way of life so we use 100% safe eco-friendly products. We continuously improve our skills and undergo training to ensure the high quality of our services. We invite you to join the big family of Magic Carpet Cleaning and guarantee 100% clean property until you verify that you are satisfied with the results! Hot water extraction is the most popular approach to clean a carpet today. It can remove up to 99% of the soil in the textile floor including germs that cause allergies. That’s why we recommend it for families with children and pets. When the water temperature in the heating device reaches the required level, water with detergent is injected into the carpet under pressure and is sucked up a second later with powerful vacuum. After dry compound treatment, you can use your carpets immediately. 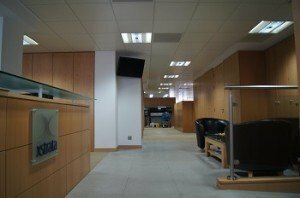 This makes it suitable for places in commercial buildings and shops. The approach is safe even for the most delicate fabrics. It lacks the risk of over-wetting the carpet, which protects it from mold. The substances used are in the form powder, and are almost 100% biodegradable. The powder is rubbed by mechanical brushes and is then removed by vacuum. This treatment is fast and you do not need to wait until the treated surfaces are dried. We successfully clean artificial and natural stains, using the most appropriate preparations for removing coffee spots, traces of pet urine, wine, food, chewing gum, chocolate, etc. Our teams are certified by multiple trade bodies in our industry for handling acid, alkaloids and other cleaners. Do not hesitate to contact us at 0208 861 0979 to see your home cozy and protected from dirt again. If your home, office or shop are located in Hampstead NW3, our cleaners are ready to help! 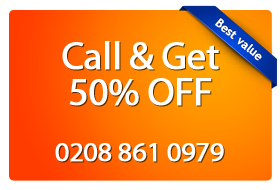 Call 0208 861 0979 Magic Carpet Cleaning now and get the best offer for your property! Our friendly and polite representatives are available 24/7 to take your call and provide you with a free price quote. They can help you with the booking process. You can be over in less than 10 minutes. Once you have arranged our carpet cleaners to visit your home, just sit back and relax.